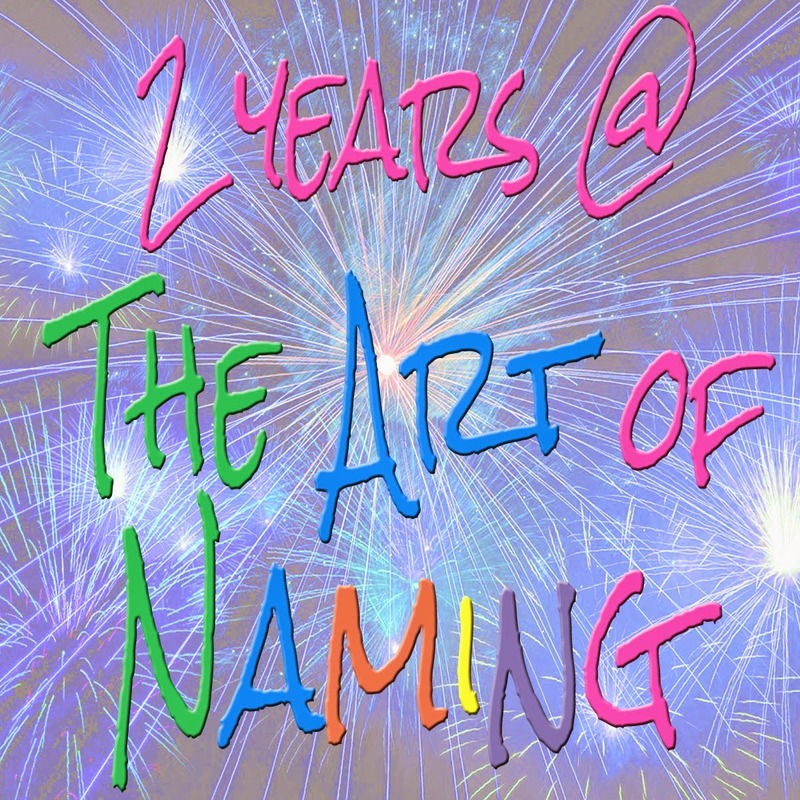 Today marks 2 years since I began writing about names on The Art of Naming! I want to thank you all for accompanying me on my journey! 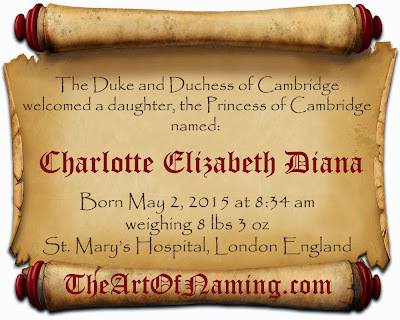 I have had a wonderful time researching and writing about names to share with you! I can assure you that I have plenty more to write about and I hope you will continue to come visit me here on my little blog and share your comments and thoughts with me when you can! For those of you kind enough to follow me on my social media accounts as well (Facebook, Twitter, Instagram, Pinterest, Tumblr, Google Plus...) I want to give you a huge thank you! It is the more interactive moments that I love the most! When you share your thoughts or your favorite names with me on my various posts, it brightens my day and gives me more motivation to continue researching and writing! If you ever have a request, a suggestion, a question or even a complaint, feel free to reach out to me either on one of the above platforms or by email. If you just feel like chatting about names with me, I'm always here to make a new name-nerd friend! Thanks for the good times! I look forward to the year to come! For many years all around the world, it was the norm to hand names down generation after generation. In many cultures, it was traditional to use family names. Sometimes there were even patterns laid out for determining which child gets which relative's name. Times have changed a bit but even modern parents find themselves considering whether or not they'll honor a relative. There are times when the honoree is a wonderful role model for the child and passing down their name is natural for the parents. The child gets the chance to feel a connection to their family's past and no doubt that honored relative is thrilled! However, there are other instances when honoring someone just doesn't feel right. How do you know when you should and when you shouldn't honor a relative? It isn't easy when familial pressure sets in, especially when there are traditions in place that you're expected to follow like if your husband is the fourth, do you have to make your son the fifth or could you break tradition? I previously described how you could honor a relative even if you hate their name, but this article will help you figure out if you should even bother trying to honor someone at all. You've tried to find a way to twist your relative's terrible name around to become something beautiful but no matter what you try, you still cannot find something that you love that would still honor that person. Now what? Well, there are some names that are just too odd, unattractive or out-of-fashion to consider. It isn't a bad thing to dislike them. Some names may end up being burdensome on a modern child. It is okay to avoid those ones even if it means that you won't be honoring anyone. If you were to really discuss this with your relatives, you may be surprised to find that they may agree with your decision to skip using Grandma Bertha's name. Don't fret! Imagine that you've decided to name your daughter after your mother. When you tell her about it, you're surprised at her negative reaction and she urges you not to do that because she has always hated her own name. You try to explain your reasons but she stands firmly against having a namesake. Ouch. What can you do? Since you clearly don't have her blessing on using her name, it may be best to respect her wishes and find another name. 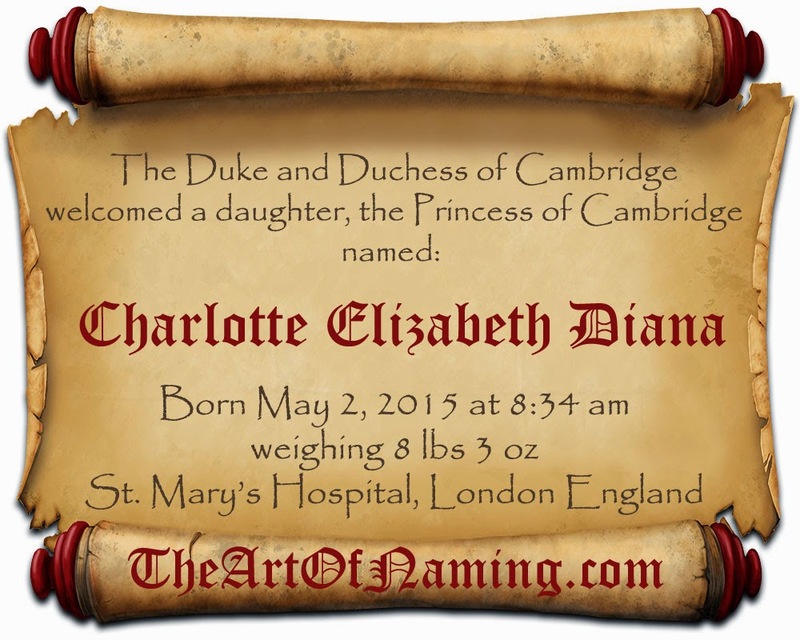 Perhaps mom has a few good ideas and you can involve her in the naming process another way. You've always loved your grandmother Alice's name and for as long as you can remember you've planned on naming a daughter after her. However, your other grandmother's name is Eunice and your husband's grandmothers are Alberta and Gladys. You love these women just as much as Grandma Alice but you don't quite love their names as much. Is it better to skip using Alice in order to avoid feeling obligated to consider the names of the other grandmothers? After all, you only love that one name and you don't want to hurt anyone's feelings by seemingly choosing favorites. Think about how your family would react. If they wouldn't mind that you only use the one name, great! If aunts and uncles start casting in votes for their own names too, perhaps it's time to reconsider. Typically when you decide to use a family name, it is because you love and respect that relative and want to honor them in this special way. Unfortunately, some families just don't get along due to private issues like dysfunction or various painful circumstances. It stands to reason that if you've never been very close to your family, you probably wouldn't consider naming a child after them. If this is the case, it's probably best to avoid using an honor name and choose something that would instead bring love and happiness to your new little family. You crave symmetry and fairness. If you use a name from your side, you feel obligated to use a name from your partner's side for the next child. You've had your heart set on naming your first son after your grandfather but when you began to ponder names for a future baby #2, you realized that your partner's side of the family doesn't have any decent options that aren't already taken. 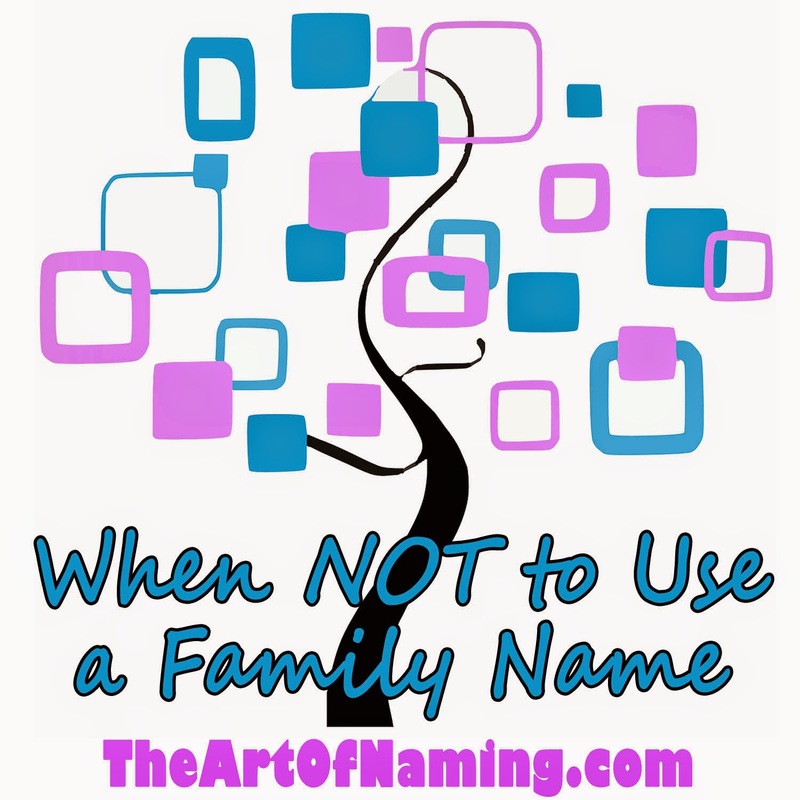 The only name you could see yourself settling for belongs to a relative that really gets on your nerves and you don't want your child named after them. You've searched through middle names, nicknames, maiden names and still you're coming up short. At this point, it might be better to avoid family names altogether so there are no hurt feelings on either side and you won't end up settling. There comes a point when relatives begin to offer their ideas about what the baby should be called. There may be old family traditions in place that you're expected to follow and these are never easy to sidestep. It doesn't help that your sister already gave in and named her daughter after your grandmother. Now all eyes are on you. You wrestle with the idea but you really don't want to follow suit. This is your baby and you want to name it whatever you want! It may be hard to take a stand against tradition and familial expectations but you'll regret it more if you don't. You've somehow ended up agreeing on making your son a junior after your husband. At the time, you were happy that your husband was happy but now you're not so sure. Something about it just doesn't feel right. You feel like you're just clicking copy and paste rather than actually giving a name to your child. Now is the time to speak up. If the name that has been chosen doesn't settle right with you, you can absolutely say something and work toward a compromise that will make you and your partner happy. It is your child! You deserve to love the name you choose! Have you encountered any issues during your own naming processes? Were you expected to honor a relative? Why did you decide against it? Share your experiences in the comments below! The list of The Very Best I Names for Boys and Girls offered plenty of interesting choices. This week is the boys turn for a featured name and the options were hard to choose from. In the end, Ignatius was the victor. The name Ignatius comes from the Roman family name Egnatius. Originally, Egnatius had an unknown meaning from the ancient Etruscan origin. As time went on, the spelling was altered so it would be similar to the Latin word ignis which means "fire". Because of this, the Etruscan Egnatius became the Latin Ignatius and inherited itself a meaning. There were several saints named Ignatius. The most well-known St. Ignatius of Loyola (1491-1556) was the founder of the Jesuits. Interestingly, his birth name was Íñigo which is sometimes regarded as a form of Ignatius, but it is probably just because of its association with this saint. (Inigo was also one of our featured I names that I nearly chose. It is Spanish but comes from the name Eneko which is derived from Basque elements. It doesn't seem to actually relate to Ignatius.) Inigo is a great alternative, though, if you like Ignatius but think it is a bit too big of a name for your tastes. 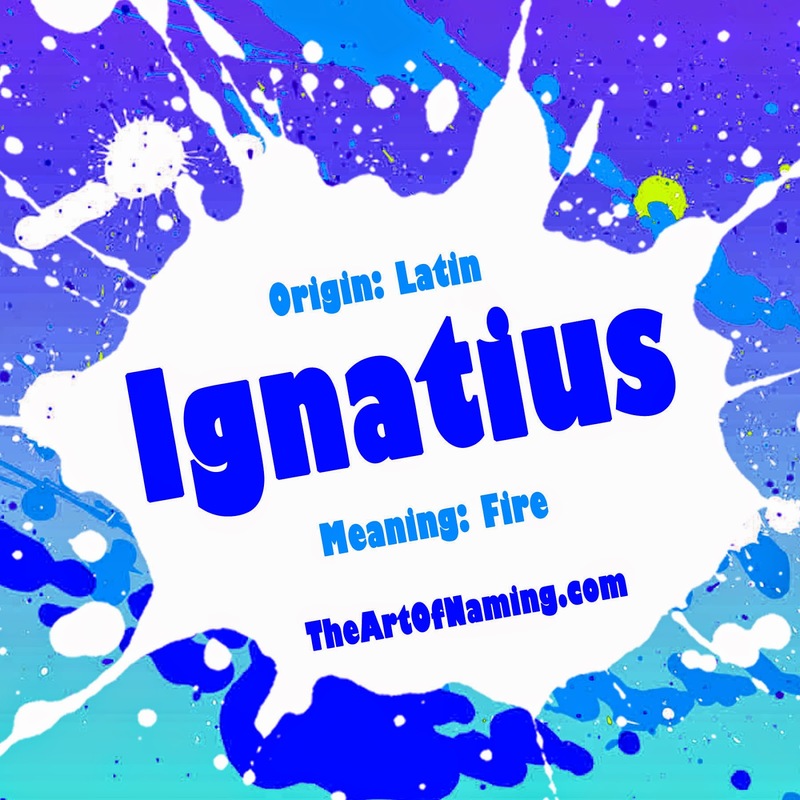 Now that Ignatius means fire, it is certainly a red-hot choice for bold namers. It has several variants in other languages including the Spanish Ignacio, the Italian Ignazio, the German Ignatz, the Portuguese Inácio, the Dutch Ignaas, the Russian Ignatiy and more. Iggy, Nate or Natius (nay-shus) seem to be popular nicknames for Ignatius while the Spanish Ignacios can sometimes be called Nacio or Nacho for short. There's also Ignacia for a girl who could potentially go by Nancy. How does this international name rank in the US? Ignatius has been steadily in use since 1885. It had the most usage in terms of births per year in 1920 when the name was given to 97 boys. It declined in usage after that, not even ranking in 1980 at all. However, Ignatius is slowly climbing back up the charts, possibly receiving a tiny revival along with other more popular Latin -us names like Atticus or Maximus. Ignatius was given to 40 boys in 2014 for a ranking of #2896. So it isn't in the Top 1000 names but it is being used. It would be a unique choice for a modern boy! This name is a bit difficult to pair up but it seems to work best as a middle name with a 2 syllable more-traditional first name. Henry Ignatius and Robert Ignatius are my favorites. However I couldn't resist going with Ignatius Benedict despite how very saint/pope it is. What would you pair Ignatius with? Share your thoughts below! The letter I is an interesting letter. Since it is a vowel, it feels like there should be plenty of popular options like the letters A and E seem to have, but it is actually home to a number of unusual and under-the-radar choices. Sure there's the popular Isabella which has graced the #1 spot in years past, and there's the constant and traditional Isaac and Isaiah, but many of the names below are rather unheard of and rarely used. Do you agree with my assessment or do you feel that many of these names are more commonplace than I gave them credit for? 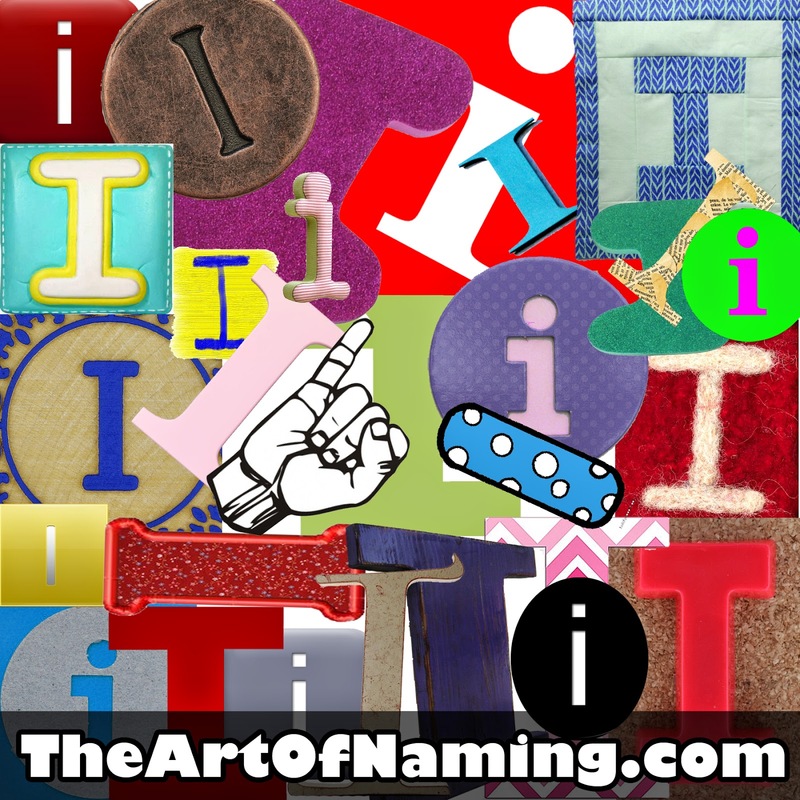 How many people do you know that have names starting with I? 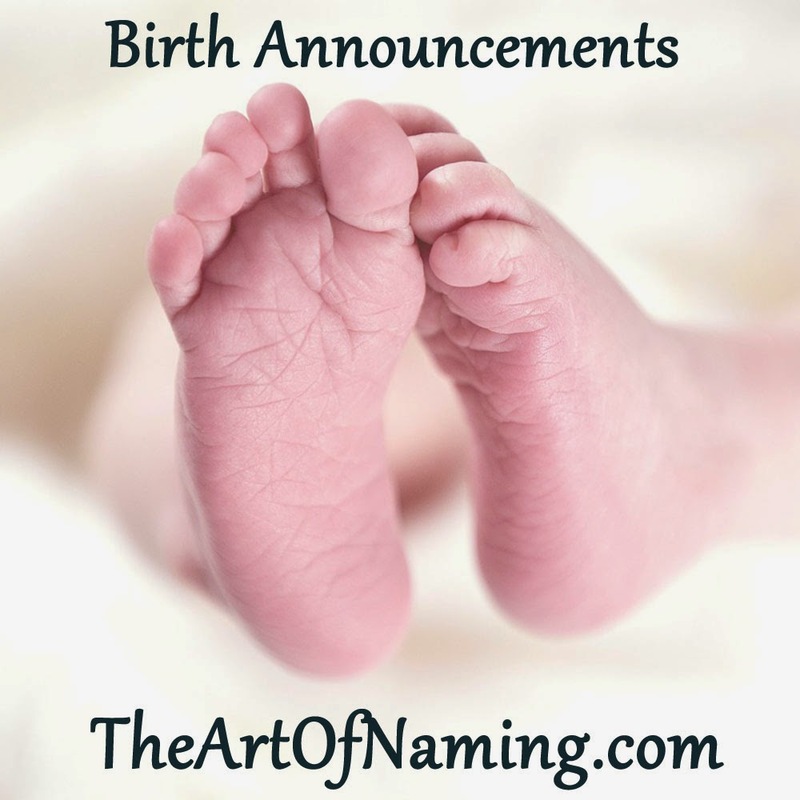 Let me know your thoughts in the comments below... but for now, here are 25 of the best names for girls and 25 of the best names for boys that start with the letter I! Which of the above I names do you like most? Did I leave any of your favorites off the list? Don't forget to check out the other articles in this series by clicking the links below! 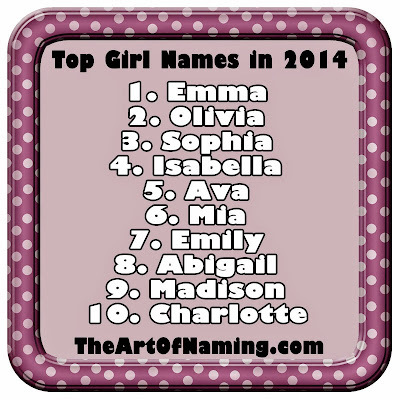 The brand new Social Security Administration list of the most popular baby names in 2014 is here! For the first time since 2008, Emma has reclaimed the throne, surpassing both Sophia and Olivia! On the boy's side, Noah has held onto his popularity another year even though many were speculating that #2 Liam would take it. Here are the new Top 10 for each gender! 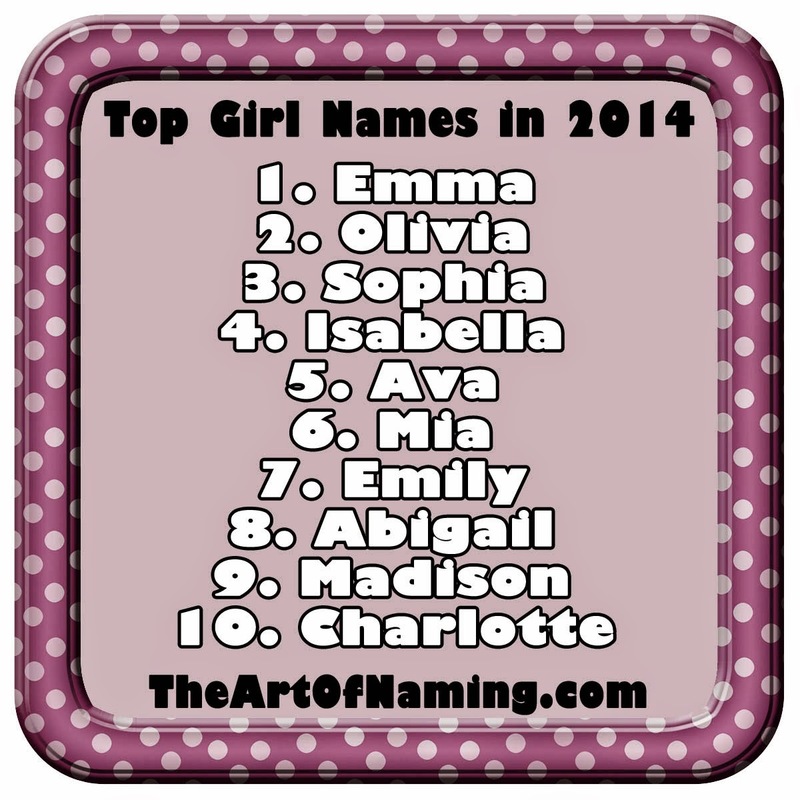 I thought Sophia would have continued her streak at #1 again this year, only possibly being unseated by Olivia. I was right about Olivia surpassing Sophia, but I didn't see Emma coming to claim the throne again after only being #1 once in 2008. Charlotte made her way into the Top 10 by knocking Elizabeth out of the ring. 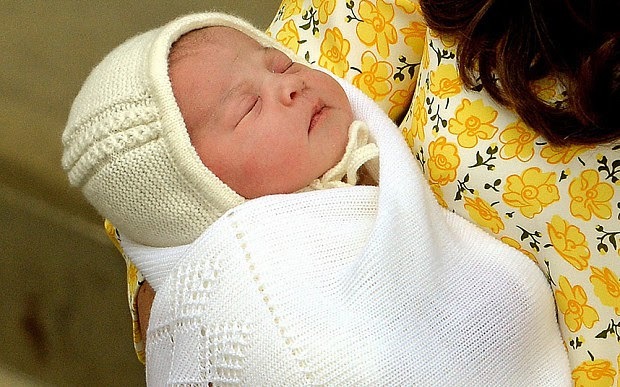 With the birth of the new princess, Charlotte will probably continue to rise, potentially being #1 within the next 5 years! Any thoughts? 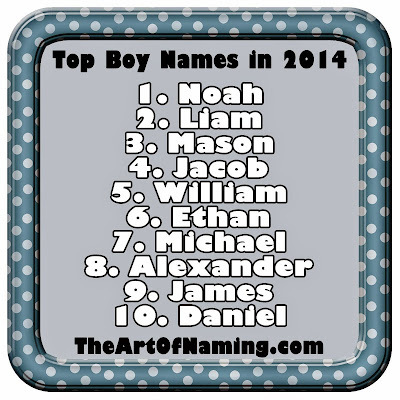 My guess was that Liam would take #1 but Noah holds on to the throne another year! Mason surpasses Jacob, and James takes Jayden's place! The names this year are all rather classic and traditional. These are solid names. I've seen some people complaining that they're all a bit boring. For example, Elijah was #11 again, so close to cracking the Top 10 for the first time and mixing things up. Maybe next year! What are your thoughts on this year's list? Are you surprised by the popularity of any of these names? Be sure to check out the Social Security Administration's full list of the Top 1000 names! Maisie has really climbed up the charts in a big way! Emmeline has been close to joining the Top 1000 for a while now and since Emma is #1, it makes sense. I'm happy to see Antonia and Clementine have more usage! Magdalena, Cordelia and Ariadne are pleasant surprises! None of these boy names made huge strides but they did join the Top 1000 after not ranking in it for 2013. They're all unique options that are gaining more familiarity! Would you use any of these? Any thoughts on names in the Top 1000? 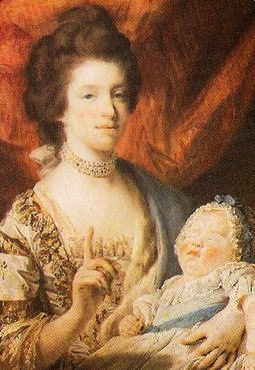 To complement our list of The Very Best H Names for Boys and Girls, we will further examine the feminine name Honora. It was the Normans who introduced the name Honora to England and Ireland. Honora is a variant of the name Honoria which is the feminine form of Honorius. Honorius is a Late Latin name meaning "honor". It has been worn by a few saints and popes as well as an emperor. In addition to the lovely Honora, there is also the Irish Onóra and the English Annora. Nora is an excellent nickname for all of these, and diminutives include the similar Norene, Noreen, Norah and Nóirín. 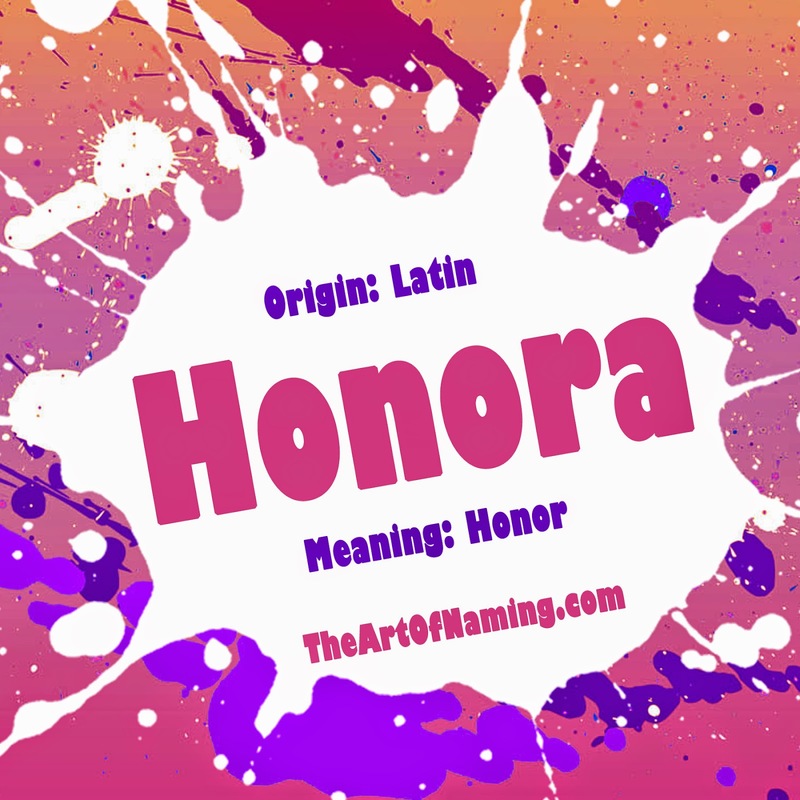 While some parents like the shorter and simpler name Honor to reflect its virtuous meaning, others opt for a bit more of an elaboration with Honora or Honoria. These types of abstract virtue names were popular with the Puritans after having been introduced to Britain by the Normans. Today in modern America, Honora is very under-the-radar. It has been used quietly but consistently since records were first kept in 1880 but it has never been popular. The year 1919 received the most usage for this name in a single year but that only accounted for 28 births. In 2013, there were only 20 baby girls given the name Honora in the US for a ranking of #6282. The name Honor was a bit more popular. There were 133 girls named Honor in 2013 and there weren't any births on record for the name Honoria. On the flipside, 64 boys were also named Honor which proves that this virtue name could work for either gender. 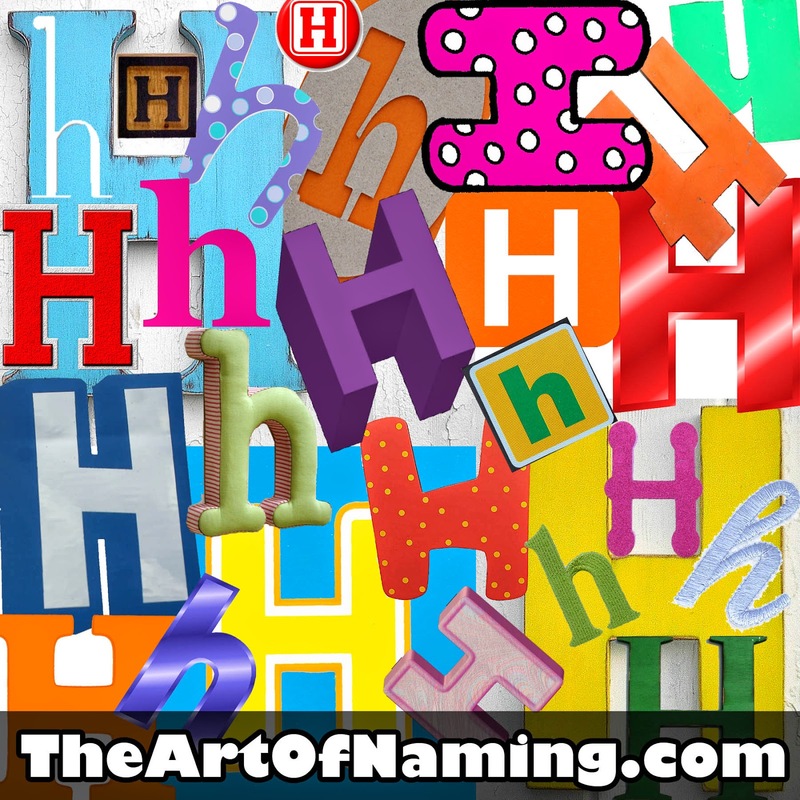 Imagine for a moment that you've got a situation like the Duggar Family but your favorite letter is H.
It can be difficult to find one name that you like, but to find many names that all start with one letter? That would be quite the challenge! You may not end up with 19 kids like the Duggars, but if you were to opt for using all H names, this list happens to contain the 50 best H-Names around! With 25 girl names and 25 boy names, this list should offer more than enough options for your family of Hs. In the comments below, be sure to share which names you like most that start with the letter H.
Are there any that you would remove? If so, what would you replace it with? If you haven't heard, Marvel Studios's new movie Avengers: Age of Ultron will be in most theaters today, Friday May 1st! As a fan of these superhero movies, I thought we'd take a look at the names of the main characters in the film. Let me know in the comments and polls below which name you like most and which character is your favorite! Don't forget to check out the film this weekend if you're also a fan! The name Tony is short for Anthony. In this case, Tony definitely suits Iron Man better than the more formal long form. Both names come from the Roman Antonius which generally has an unknown meaning. Anthony ranked at #21 in 2014 and short form Tony did pretty well at #448 on its own. Which do you prefer? The surname Stark gained usage as a first name in 2010 (but could partially be attributed to the Starks of Game of Thrones as well). There were 20 boys named Stark in 2014. 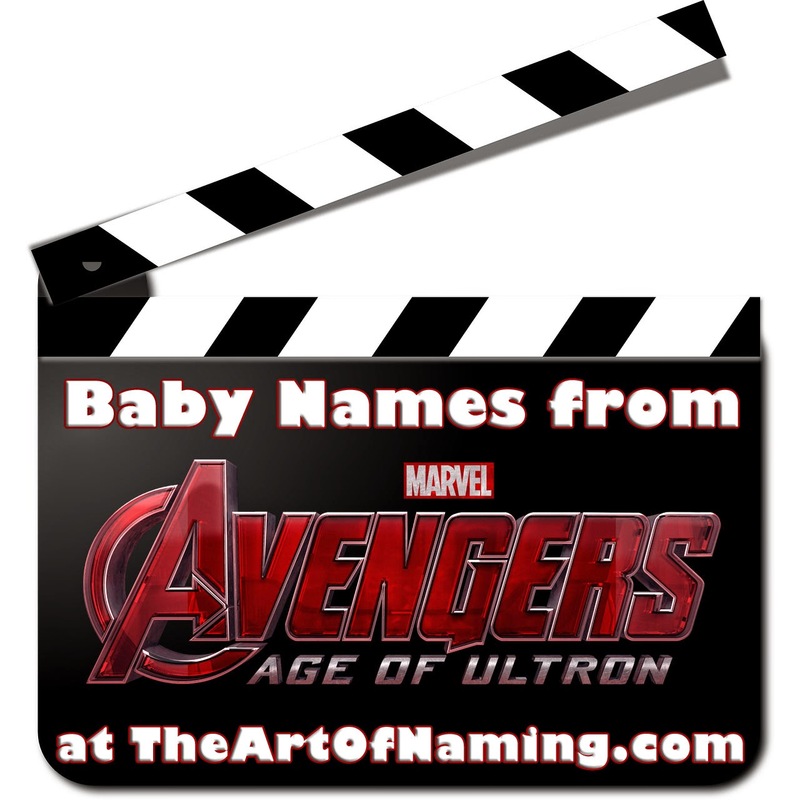 Thankfully, nobody has named their child Iron Man that I can tell, but you never know! Steve is short for Steven which comes from Stephen and Stefan. The original name is the Greek Stephanos meaning "crown". Captain America was born as Steven Rogers in 1920 but is mostly called Steve or "Cap". There were 418 boys named Steven in 1920. The name was much more popular from the 1940s to the 1990s; today its down to #144. Steve itself ranked at #858 in 2014. Similarly, Roger is rather dated as a name. It had decent usage from the 1920s to the 1980s but these days it has slipped down to #584. Since 2005, there have been 132 boys named Captain. I wonder of any of those boys named Captain were given the middle name America. America is used fairly well for girls, ranking at #846 in 2014. Bruce comes from a Scottish surname taken from the Normans. 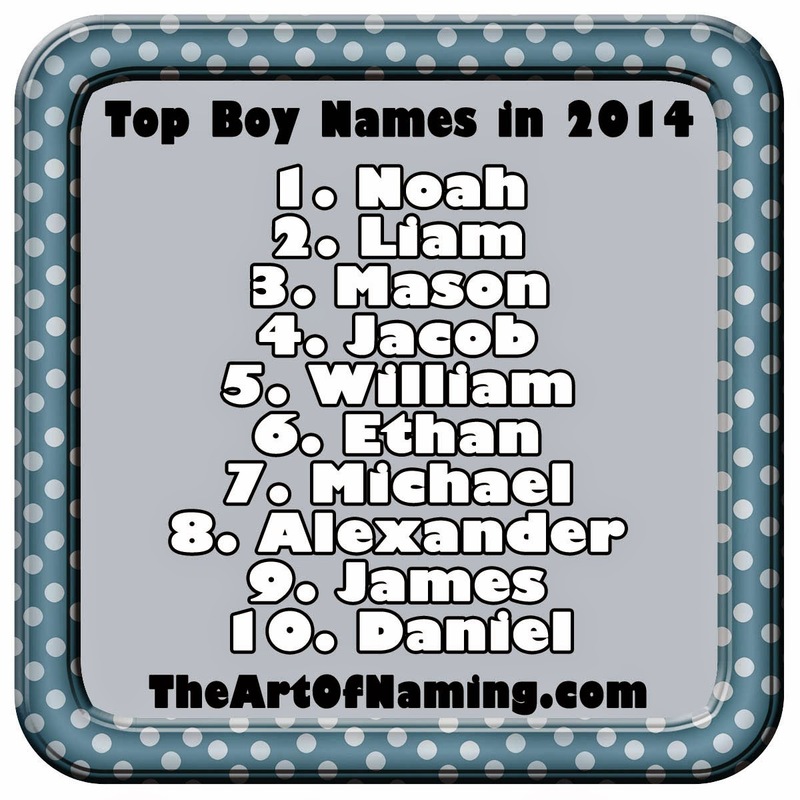 It was a Top 100 name from 1932-1970, but now ranks at #401 for boys in 2014 in the US. Bruce has been rather popular in both Scotland and Australia in years past. What do you think of it? Surname Banner has actually been given as a first name to a number of boys. 44 boys received the name between 1916 and 1944 but it wasn't heard from again until 1993. It gained regularity in 2005. In 2014, there were 30 boys named Banner. It doesn't appear as though anyone has been named Hulk, though. Natasha is a Russian diminutive of Natalya which comes from the Late Latin name Natalia meaning "Christmas Day" from the Latin natale domini. Natasha was most popular in the US in the 1980s, peaking in '82 and '87. It has declined in usage again, ranking at #544 in 2014. Black Widow's surname is Romanoff which hasn't been used as a first name in the US, but if you chop off the "off" and consider Roman as a name, you'll see that it has rapidly gained usage for boys. Roman ranked at #113 for boys in 2014; there were even 16 female Romans. Clint is short for Clinton which is a surname derived from an Old English place name. It refers to a "settlement on the River Glyme" which is in Oxfordshire, England. As a given name, Clint has been in use since 1880 but has never been popular. There were 95 boys named Clint in 2014. Barton has also been around as a name since the beginning of US records but it is even less popular. There were only 5 boys named Barton in 2014. It isn't listed as much more than an English surname, but it is said to be a diminutive of Bartholomew. The mighty Thor is not just a comic book character, he was also prominent in Norse Mythology as the god of strength, thunder and war. Thor actually means "thunder" in Old Norse. As a baby name, Thor has surprisingly been in use as early as 1904 in the US, gaining regular usage in 1912. It has never been popular but it has ranked at the bottom of the Top 1000 chart in the late 1960s. There were 114 babies named Thor in 2014. Pietro is the Italian form of the name Peter. It has been used in the US since 1909 but it has remained very rare. It could be a unique and interesting way to honor a Peter with a twist. There were only 25 boys given this name in 2014. This character's surname is Maximoff which hasn't been used as a first name in the US. If we do what we did with Black Widow's surname and chop off the "off", we're left with Maxim which means "greatest". One of the many Max- names, Maxim ranked at #716 in the US in 2014. The name Wanda is said to come from a Germanic name meaning "a Wend" that actually refers to Slavic people living in Germany. Wanda isn't a very stylish choice today but it was rather popular around 1956. In 2014, just 22 baby girls were given this name. As for the Scarlet Witch's surname, see her twin brother Pietro's description above for that information. Scarlet is a red color and also a type of cloth. This spelling ranked at #390 in 2014 for baby girls while the spelling Scarlett is #30. Scarlet is a lovely name once the "witch" part is dropped from this character's alias. Nick is the short form of Nicholas which is a Greek name meaning "victory of the people". As a name, Nick has been given on its own since 1880 in the US and was most-used in 1959 and 1960. In 2014, there were 156 boys named just Nick. Nicholas is not as popular as it was in the '80s and '90s but it still ranked at #57 in 2014. Fury was actually given to 5 girls in 2002 but it is not a name I'd recommend since it suggests violent anger. It does, however, make for a cool surname. So tell me, which of the above character names do you like the most? If you had to pick one, what is the best name of the bunch? Just for fun: Which is your favorite as a character?